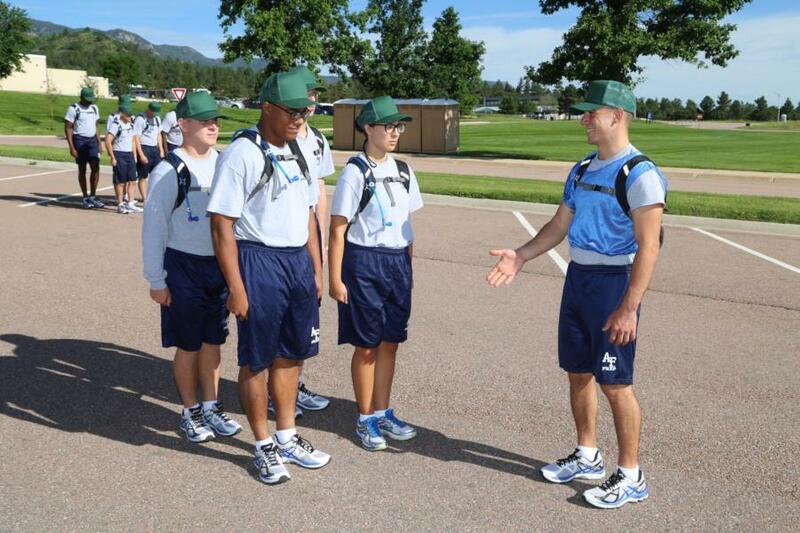 Today was a busy day for the Prep Basic Cadet Candidates. 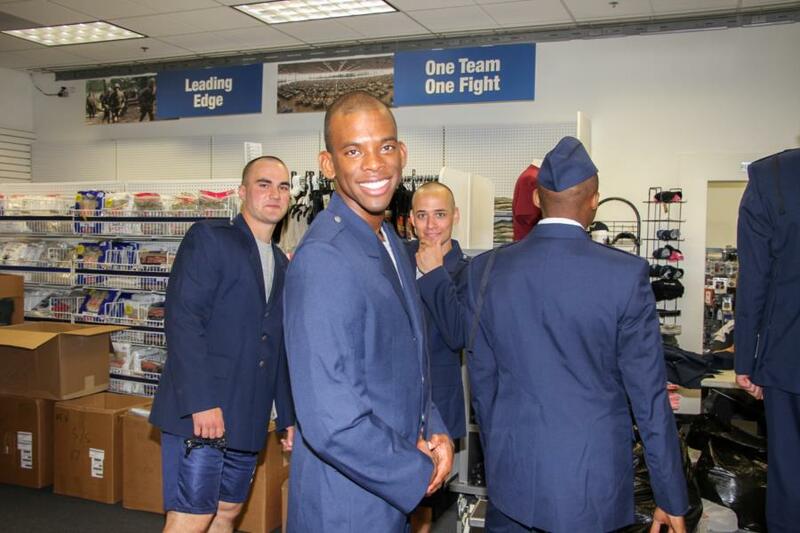 All of the flights from each squadron cycled through three stations: Squad time, Blues issue, and a trip to the BX. 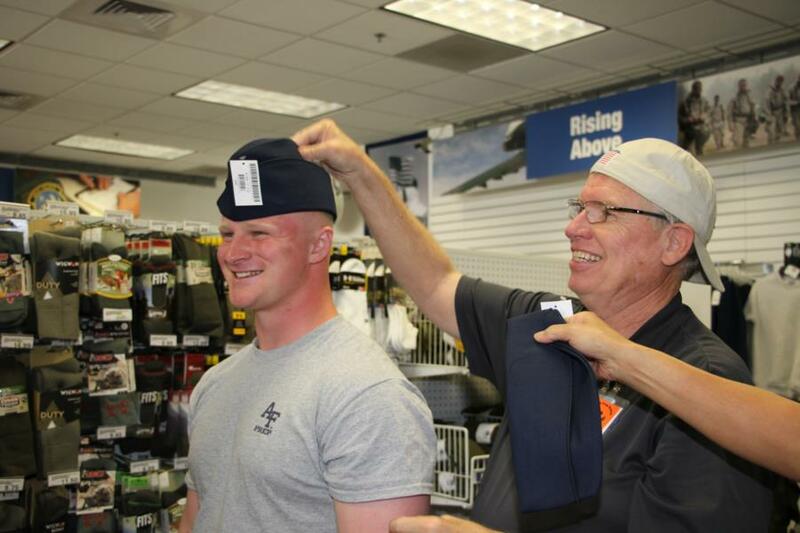 WebGuy tries to be full service, and as part of that package, he also helps with hat fittings. Tomorrow will be a relatively light day for photos.The basics are given worship/free time until lunch and then they have a briefing after lunch. 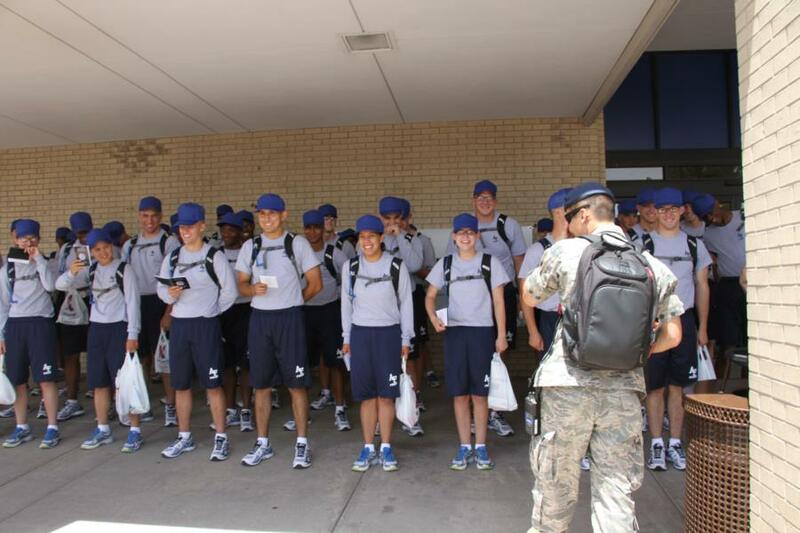 After the briefing, the basics will be taught retreat procedures and then they will practice retreat. For squad time tomorrow, the basics are doing more laundry and room set-up. Most of the photos for today have been uploaded but there are still more that need to be processed so stay tuned for those. Until then, have fun with your treasure hunt!